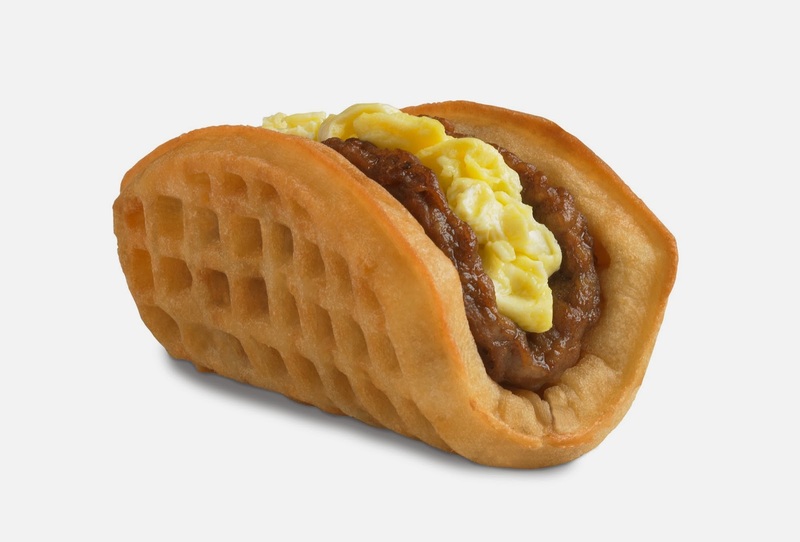 This week's lucky "winner"... the Taco Bell waffle taco!! Finally! A taco made out of a waffle, consummate amongst sausage, egg, as well as maple-ish syrup! The breakfast sandwich hasn't changed forty years, as well as nosotros mean value this breaks that paradigm. The Breakfast Sandwich Paradigm. Thomas Kuhn is rolling inwards his grave correct now. The waffle taco volition last available starting March 27.